Great condition & low hours. This yacht is in great condition and has less than 400 hours on the engine. Properly serviced and stored ashore under cover during the winter. This yacht needs to be viewed. It's an opportunity to acquire a well loved boat. 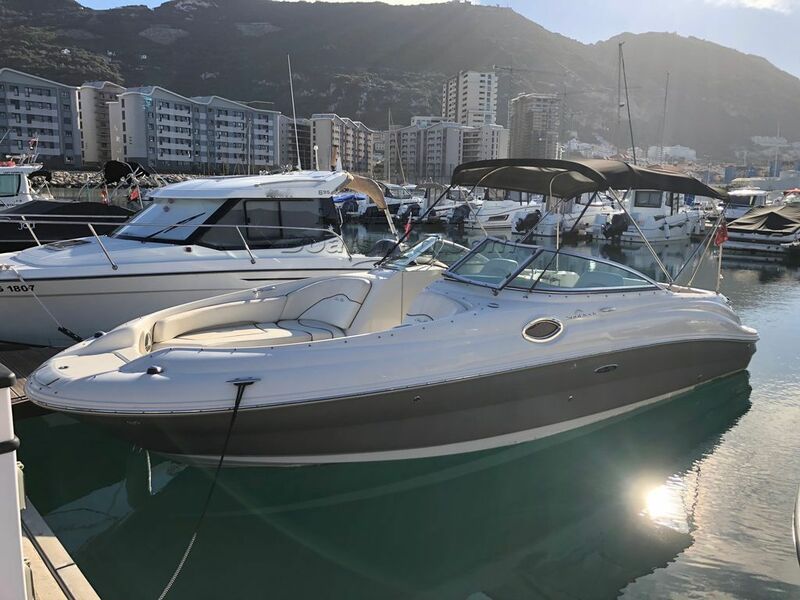 This Sea Ray 240 Sundeck has been personally photographed and viewed by John & Lynda of Boatshed Gibraltar. Click here for contact details.